SAVE A LIFE, ACT TODAY! 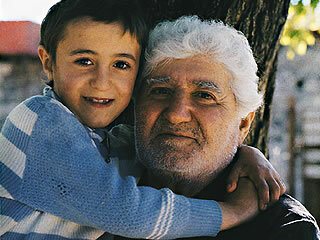 Extend a helping hand to the children of Artsakh! The Government of the Nagorno Karabakh Republic (NKR) asks you to contribute to its efforts to ensure proper medical treatment for the children of Artsakh. Artsakh is still recovering from a devastating war initiated by Azerbaijan. Much has been done to improve pediatric medical care. However, some children with special needs still require medical treatment outside Artsakh, in Armenia, Russia and elsewhere. Considering the dire social situation in the republic, the NKR Government has been consistent in trying to ease the financial burden on such families by providing funds for treatment abroad. We often rely on your support for making this assistance possible and are happy to inform that last year five children received such benevolent assistance. A special committee has been created to oversee the proper distribution and use of the humanitarian assistance. The Committee on Implementation of Medical Assistance Projects (CIMAP) includes representatives of Ministries of Health, Social Security and Foreign Affairs, a local non-governmental organization, Motherhood, and a local liaison of the U.S.-based Americans for Artsakh organization. CIMAP receives and reviews applications for financial assistance and, after scrupulous consideration, decides on the amount of financial aid to be provided. It also outlines financial reporting guidelines for recipient families. These families agree to use the funds exclusively for medical treatment and associated expenses and to report to the committee on the results. Last year, CIMAP reported to its donors on the assistance impact and use of funds in required detail. Currently, a number of children are awaiting for financial help to continue or even start their medical treatments. The NKR Government requires at least $10,000 a month to be able to continue helping those children. We call on you to join this humanitarian effort and help ensure that proper medical treatment is provided to the children of Artsakh! We welcome donations from individuals and organizations! Every dollar is sent to Artsakh to benefit the children. Please make your check payable to the Armenian Children's Relief Fund and include a note "Children of Artsakh".